The 2019 programme is coming together. The full schedule will be released in the new year, but if you're already planning your 2019 summer, here are the dates to plan to be at WYC! The Whitstable Forts Race, 18th & 19th May. New date and format for 2019, and now part of the Allen Endurance Series, so open to monohulls! Wanderer Open, 15th & 16th June. Racing Saturday, Cruise on Sunday! Merlin Rocket and Tasar Open, 22nd & 23rd June. LaserFest '19, 13th & 14th July. 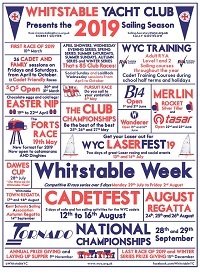 Whitstable Week, 29th July to 2nd August. CadetFest, 12th to 16th August. KSSA Autumn Regatta, 14th September. Tornado National Championships, 28th & 29th September. 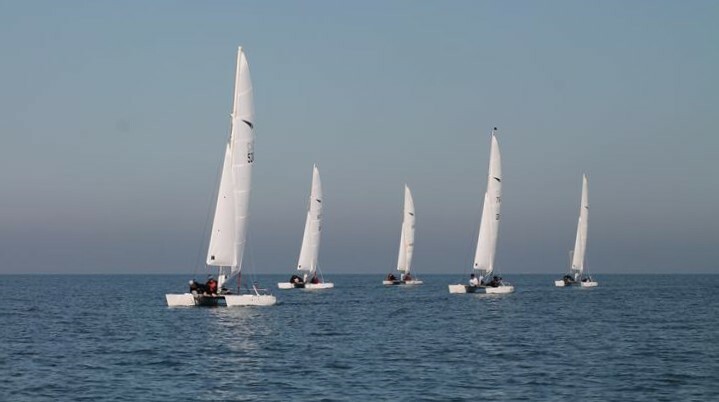 Whitstable Yacht Club welcomed the Dart 18 fleet for GP7, which was the last TT event of the Dart 18 season, and the last Open event hosted by WYC in 2018! 28 boats entered, including travellers from as far afield as Yorkshire, with the Dart 18 showing its diversity and ability to attract sailors from across age ranges, and including all male, all female, mixed crews and single-handers. 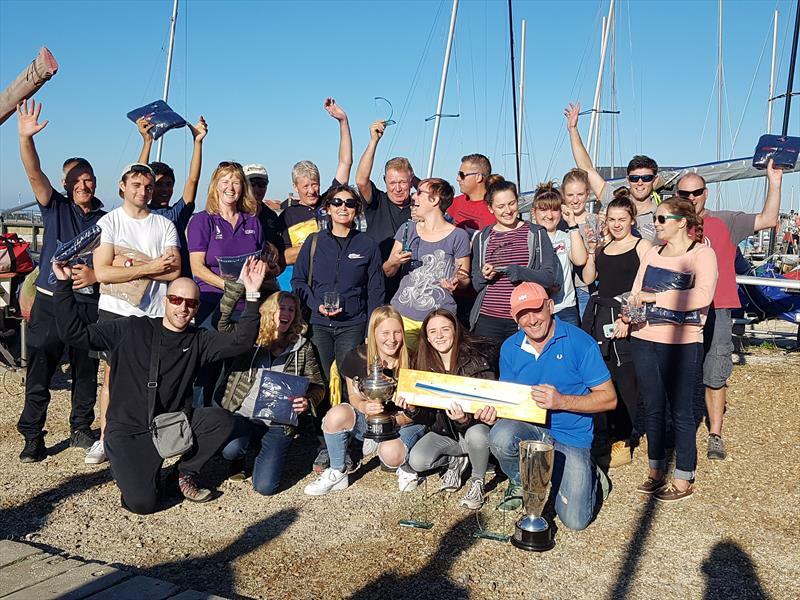 Despite only two races, Whitstable Yacht Club demonstrated once again it's ability to run a quality event, and be a popular destination for sailors and their families! Overall results from the two races saw Rob and Fi from Worthing Sailing Club take the undisputed first place overall, with Dan and Alyesha from Isle of Sheppey Sailing Club in a well deserved second. David and Chris from Portsmouth SC consistently stayed at the top of the fleet, with their 5th and 3rd place putting them in third overall. Top Whitstable Yacht Club boat was Abby and David , and the first single hander was Tony, also from WYC! Full results can be seen at wyc.org.uk/on-the-water/results. Thanks to all of the volunteers and staff from Whitstable Yacht Club for working hard to put on the event, and thanks to the travelling Dart 18 fleet for coming to the club and being such a friendly bunch! 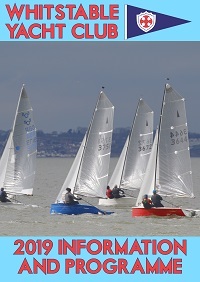 Full report available on Yachts and Yachting, and photos from the event can be viewed at https://www.flickr.com/photos/134975423@N08/sets/72157702626354914. Thanks to everyone who attended the Thursday Night Bingo, organised by the staff of Whitstable White Stuff. 58 people attended and they raised a fantastic £355 or their charity RDA in Canterbury!